This week’s You Capture theme was still life. And I’m late in blogging, so I apologize. I struggled with this topic. I struggled to get out of my house this past week, much less shoot photos. So I shot pictures in my house. 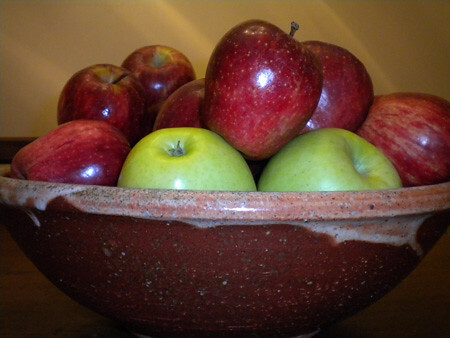 Apples….I bought two bags of apples last weekend. My husband has eaten 4 apples, and I’ve eaten 2. I’d say we have a lot left to eat! They look good, at least. Then I headed downstairs. Our CD collection….on the shelves I made 🙂 I love this wall of media. And this is where I’ve been spending my days. 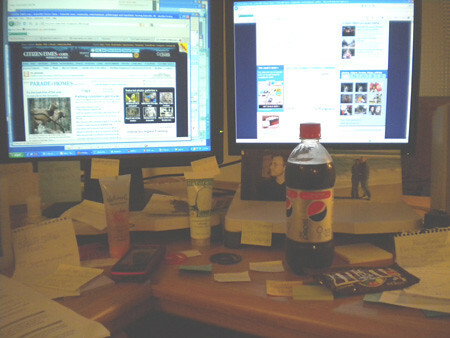 My mess of a desk (at work.) I even bought a diet Pepsi yesterday. I needed it. And you know what? After I bought it, I was way more productive. Oh yeah. I also bought M&M’s. It was a rough afternoon! Next week’s theme is technology. I think I have that covered above, but I’ll give it a better shot 🙂 Now, head over to Beth’s blog and show some blog love for the other bloggers! Late is better than never, right? Love the plant shadows! LOVE the apples : ) What a great still! great still shots! We also have lots of apples. They are so yummy. 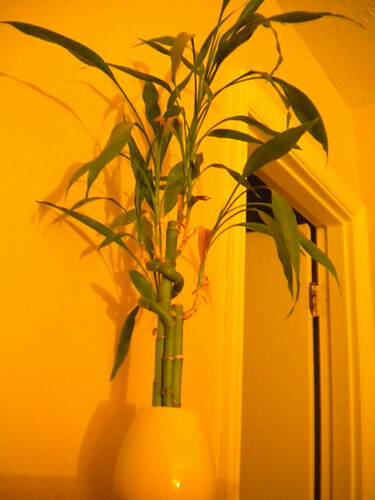 Love apples….and bamboo too! Great shots…hope the rest of the week was better! Nice shiny apples! 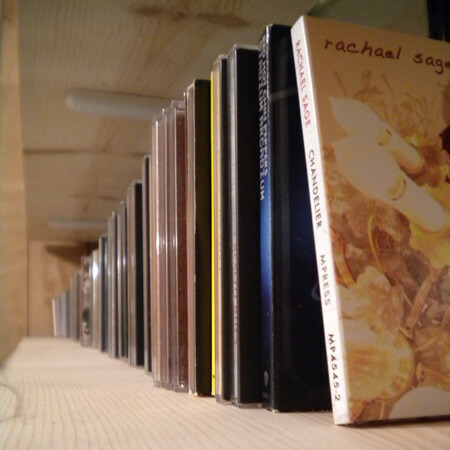 And, I really like the perspective on that long row of CD’s. Nice stills! i like the plant shadows, too! great pictures – thanks for sharing. Great still life captures! Fun!